Tommy Fleetwood finished solo second at this year’s U.S. Open, a stroke behind winner Brooks Koepka. His final-round 63 tied for the lowest score in Open history. For the 2018 season, through the Quicken Loans National, Fleetwood was ranked 7th on the Tour in scoring average. In fact, by many measures, his inaugural Tour season has been excellent. Yet, intriguingly, he ranked just 83rd in par-4 scoring. People like to say you can prove anything with stats. That’s only because certain stats have big flaws. And par-4 scoring average is a flawed stat we can improve upon. It’s flawed because it rewards play on courses with easy par 4s and penalizes play on courses with hard ones. So far, the easiest par 4 in 2018 has been at TPC Scottsdale — hole 17, in round four, when the scoring average was 3.43. The most difficult par 4 in ’18, with a 4.81 scoring average, was 14 at Shinnecock, in round one. That’s a Mt. Everest–sized 1.4-stroke scoring difference. Though he played memorably at Shinnecock, Fleetwood skipped the stop in Scottsdale — and, in part, his chunky par-4 scoring average reflects that. What’s the fix on this funky stat? Yep, strokes gained, again. When we measure par-4 scoring relative to the field, Fleetwood’s round-one score of 4 at Shinny’s tough, par-4 14th represented a gain of 0.81 strokes on the field. Do that for all players and rounds in which he has competed this season and we find that Fleetwood ranks 14th in par-4 strokes gained, with an average gain of 0.10 strokes per hole. Par-4 strokes gained gives sensible results because it takes into account varying hole difficulties and field strengths. Just averaging raw scores can yield head-scratching results. It’s one reason the word “stats” sometimes gets a bad rap. 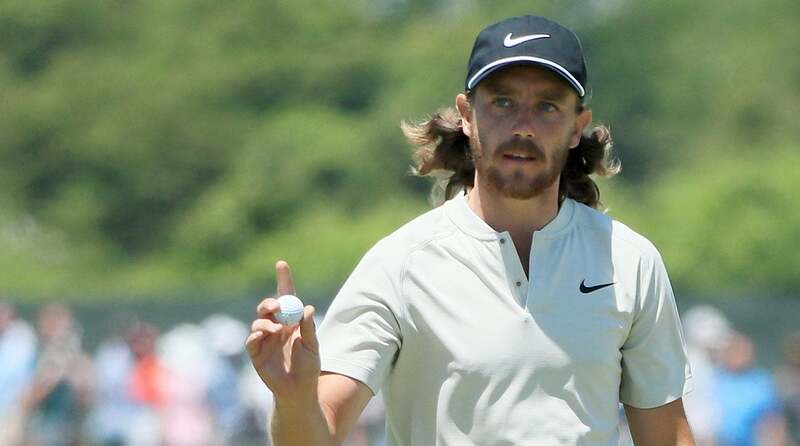 Tommy Fleetwood has risen to the top of the golf world, as high as no. 10 in the world golf ranking. Comparing the par-3, par-4 and par-5 strokes gained of overall scoring leaders, we can see which hole configuration contributed the most to better scoring. In 2018, the top ten players in overall scoring gained 15 percent of their advantage on par 3 holes (22 percent of all holes are par 3s), 62 percent on par 4 holes (59 percent of all holes) and 23 percent on par 5 holes (18 percent of all holes). The largest gain is on par 4 holes simply because there are more of them. In 2018, then, how does Fleetwood stack up on strokes gained on par 3s and par 5s? He leads in par-3 strokes gained at 0.15, and his 0.17 par-5 strokes gained is ranked 8th. To wit: Scoring averages may sound simple, but they’re sometimes misleading. Just ask Tommy terrific.